Read these terms and conditions carefully before you join the NMTF as a new member, renew a membership coming to an end, or re-join the NMTF by activating an expired membership. If you do not agree with these terms and conditions, you will be ineligible for membership. 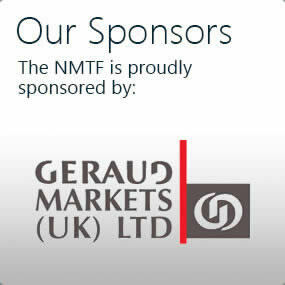 NMTF Ltd (“the NMTF”, “the federation,” “we”) is a private company limited by guarantee run by its members for its members. Articles of Association are available to view at Companies House (registration number 09440409). By paying the appropriate subscription fee you confirm that data provided is a true depiction of your personal circumstances. Membership is personal to you to use for business purposes. Anyone over 16 who is a permanent UK resident can join the NMTF. Contact details: Personal address, email, telephone, fax and/or mobile number. Trading activity: Business name, product lines and types of trading (e.g. markets, street trading, events and/or online). Business partners: If you’re working in partnership, you will need a joint membership. Employing staff: If you’re employing staff, you will need to give us your Employer Reference Number (ERN). Failure to disclose any changes to the above may restrict your access to services provided by the NMTF, which includes public, product and employer’s liability protection. 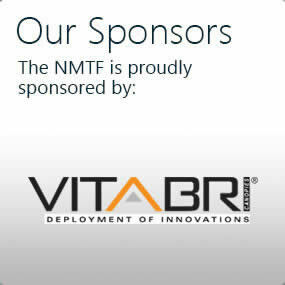 By paying the appropriate subscription fee you request immediate access to NMTF membership and acknowledge loss of your consumer rights to withdraw from the service contract. Therefore, subscription fees are non-refundable and non-transferable. If any additional members are added to this membership, it is the responsibility of the main member to ensure that they are aware of and understand this statement. If you have any questions, contact the Membership Department on 01226 749 021 or genoffice@nmtf.co.uk (office hours: Monday to Friday, 9am to 5pm). All business partners must be named to ensure that they are included under the public, product and employer’s liability protection for members. In the case of a limited company or limited liability partnership, every director of the business must be a member of the NMTF. A nuclear family can also have the same membership regardless of how many businesses they run. We class the nuclear family as including a spouse, and/or children and/or siblings. Employees do not need to be added to the same membership. If business partners are not added to the same membership, they will be refused access to services provided by the NMTF, which includes public, product and employer’s liability protection. Guidance about the legal structure for your business can be found here. The NMTF is a Data Controller and a Data Processor under the General Data Protection Regulation (GDPR). We are committed to protecting your privacy and to processing your personal information in a manner that meets the requirement of the GDPR. The NMTF has appropriate measures in place to prevent the unauthorised processing, accidental loss or destruction of your personal information. Your personal information will be stored as long as you remain an active member of the NMTF. If you cease your membership, for whatever reason, reduced information – name, membership number, duration of membership – will need to be stored in a separate location for a period of 40 years to comply with legal obligations and the terms of the Liabilities Policy. Your personal information will not be given to any third parties without your informed consent. However, there are some occasions when this is not required, and we must disclose your personal information to comply with our legal obligations. These include insurance claim assessments, criminal investigations, and fraud prevention. 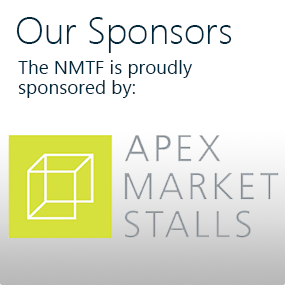 If you supply us with an email address, an account in the NMTF Members Area will be automatically set up for you. The first time you log in, you are strongly encouraged to change your password from your NMTF membership number to something else. If you decide not to change your password, you accept that the NMTF is not liable if your account is accessed by a third party. You have the right to ask for a copy of your personal information and to have any inaccuracies corrected. The data controller in respect of our membership database and our website is Joe Harrison, Chief Executive of NMTF Ltd, company registration number 09440409 (England and Wales), Hampton House, Hawshaw Lane, Hoyland, Barnsley S74 0HA. You can contact the data controller by writing to this address or sending an email to joe.harrison@nmtf.co.uk. 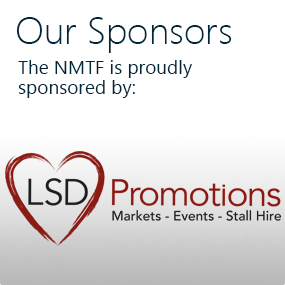 The NMTF is a trade association for market and street traders, events retailers and mobile caterers in the UK. Anyone over 16 who is a permanent UK resident can join the NMTF. Membership includes access to public, product and employer’s liability protection, which is underwritten by the Aviva Insurance Group. This protection has no excess and is valid on any number of days, on any number of stalls, on any market, festival, fair, show and/or street trading pitch, anywhere in the EU. Terms, conditions and exclusions apply relating to certain products and trading activities. for members of NMTF can be found HERE (PDF). 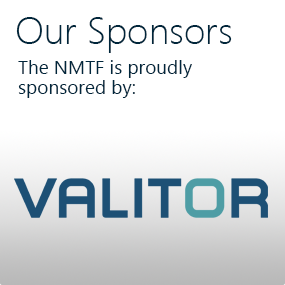 Members are protected for as long as their NMTF membership is active. This can be checked by looking at the expiry date on an NMTF membership card. NMTF is not an insurance company and we are not regulated by the Financial Conduct Authority. We are unable to give you any advice on general insurance products and services. It is your responsibility to review the Key Facts document and ensure that your personal and business circumstances are compliant with the terms and conditions contained within.